According to `The Art of Governing A Wife' (1747), women in Georgian England were supposed to `lay up and save, look to the house; talk to few and take of all within'. However, some broke from these taboos and took up the previously male privilege of travelling to the Continent to develop mind, spirit and body. Hearing of the delights of the Grand Tour from pioneering friends, increasing numbers of English ladies set off to sample foreign lands from which many returned apparently `the best informed and most perfect creatures'. For others the Grand Tour was an intellectual and romantic rite of passage, widening their knowledge of society, love and politics and inspiring a genre of literary fiction all of its own. 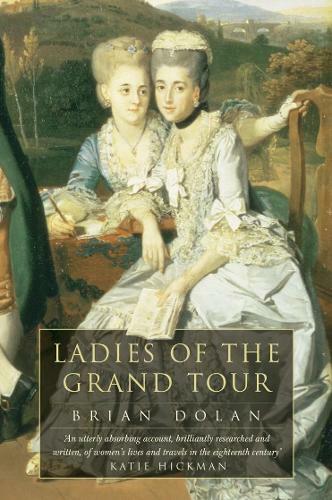 Brian Dolan leads us into the hearts and minds of the ladies through the stories, thoughts and court gossip recorded in their journals, letters and diaries.